Another week bites the dust! Am I the only one who is astonished that it is already March?! Holy crapoly... this year is FLYING by! Anywho, enough about the past, let's focus on the present - and everything that I am loving these days! 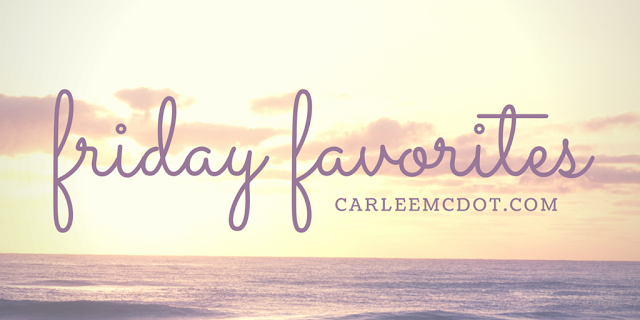 If you follow me on social media, I'm sure you've seen my hand before (whether it be in my #CarleesTreasures shots or selfies-a-plenty). And you've probably noticed that I love stacking my classic QALO wedding bands (I am not ashamed to admit that I have nine of them in different colors). Well, earlier this week they actually released a stackable line! There are five colors and four new styles (as opposed to the standard rings I stack). Can you say AWESOMESAUCE?! 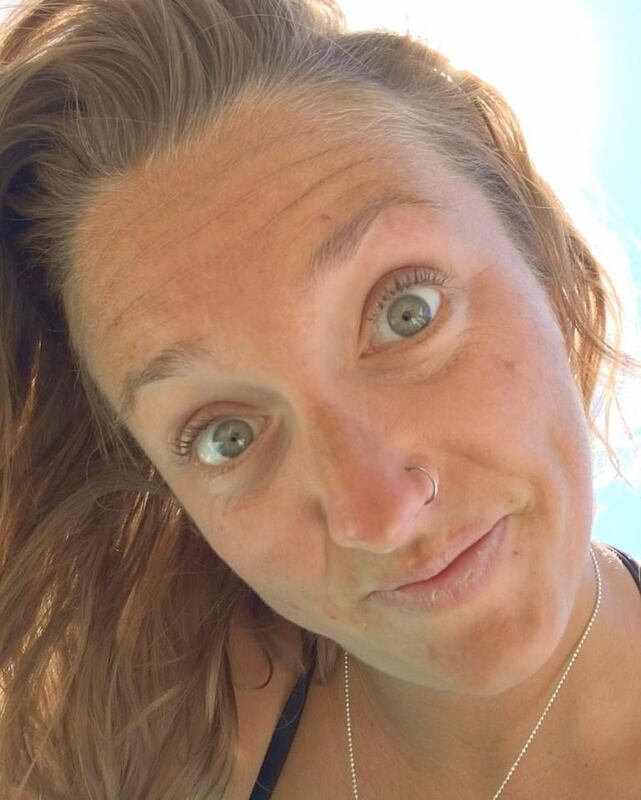 Please tell me I'm not the only one who used to use "Sun-In" when I was younger. Well, Sun Bum released a better version of that old school hair lightener, Sun Bum Beach Formula - Hair Lightener, and I am digging it. My hair normally lightens on its own during the summer, but why not help it out a little (especially since it's only March ;)). Sun Bum's Beach Formula Hair Lightener is specifically formulated to brighten and tone your locks by amplifying the natural highlighting effects of the sun. Infused with Costa Rican pineapples and Hawaiian Lehua honey, their special UV-activated blend creates natural subtle tones and beautiful highlights without the brassiness hair lighteners can cause. 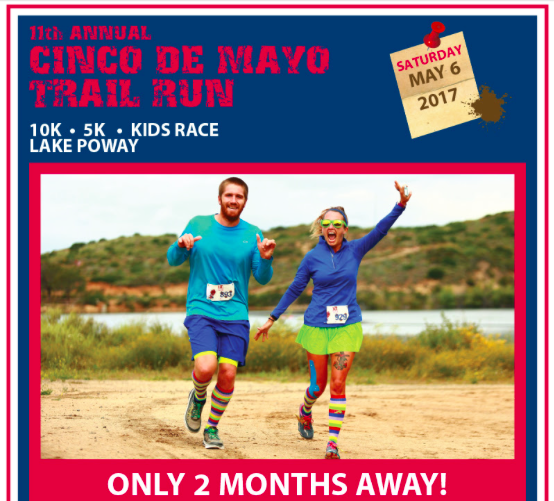 A friend on Twitter mentioned that a picture of the hubby and I had been used in an email blast for a local race, the Cinco de Mayo Trail Run. Sure enough, I checked my inbox and there we were, staring right back at me! It's a little surprising, but fun at the same time. PS If you're in the San Diego area and want to run a trail race with us, we'll be there again this year (tackling the treacherous 10K... okay, maybe it isn't "treacherous", but it's a pretty tough course). It's an honor to report that I was accepted into the Rock 'N' Blog crew for a second year in a row. WHOOO HOOOO! Not only does that mean I get a few perks myself (like entry to some of the Rock 'N' Roll races), but I get to spread the love to you too! 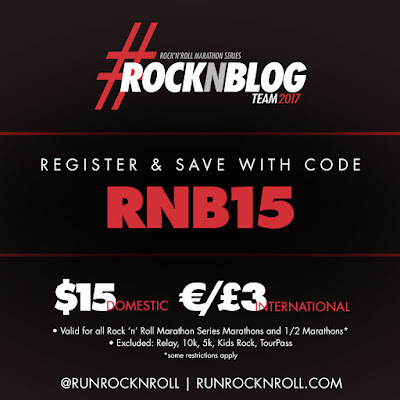 If you use code "RNB15" you can save $15 on most Half and Full Marathons offered by the Rock 'N' Roll series! As of right now I am planning on running the Carlsbad 5000, the San Diego Half, the Los Angeles Half and the Las Vegas 5K and Half (but could be talked into more ;)). I hope to see you out on the course(s)!